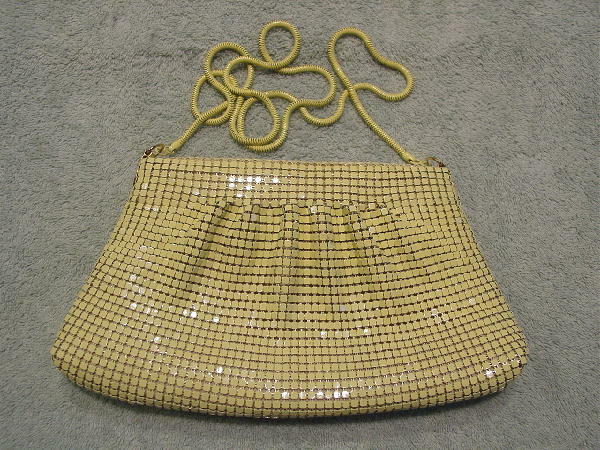 This pale butter yellow metal mesh purse was made in Hong Kong. It has a top side to side zipper closure and a 41 1/2" long metal color matching chain. The interior has a slightly padded light yellow (probably acetate) lining and a zippered pocket. It can be worn in the daytime, but it also works well as a spring and summer evening purse. The light spots in the picture are reflections and not spots.